With such a high concentration of casinos in Las Vegas, they have to do all they can to attract customers. Planet Hollywood Resort & Casino can boast a restaurant from a man named the best chef in the world for 2017: Gordon Ramsey. 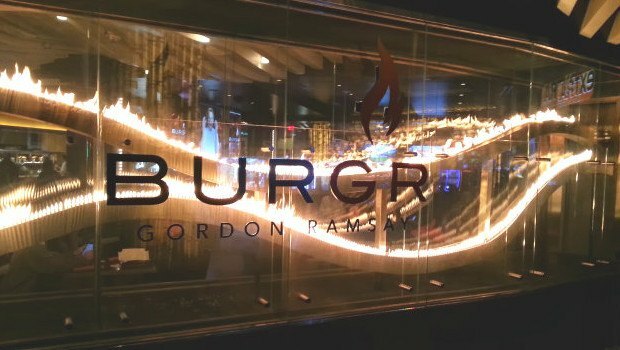 Gordon Ramsay BurGR offers traditional American cuisine, focusing on burgers, fries and milkshakes. As you enter this restaurant in the heart of the Las Vegas strip next to the Miracle Mile shops, prepare to be impressed by the 30-foot fire in the centre of the room, as well as the brightly coloured walls. Head chef Harold Donahue prepares a wide range of burgers and hot dogs as well as soups and salads, including vegetarian and vegan options. Finish off your meal with a sweet milkshake, a chocolate caramel tart or a white and milk chocolate parfait. The restaurant holds around 200 people but expect to queue for a while. After all, this is the work of a chef who has collected a total of 16 Michelin stars in his career. At the famous MGM Grand casino in Las Vegas, you're not only spoilt for choice when it comes casino games, but also when it comes to gourmet cuisine. The MGM Grand is the third-largest hotel complex in the world with 5,124 rooms, so it needs plenty of restaurants. Among the notable chefs in residence at this mega casino is Wolfgang Puck. 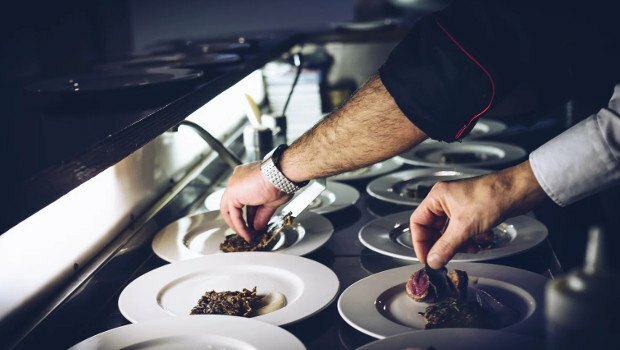 The Austrian-born American celebrity chef has a number of restaurants at casinos in the United States, blending American and Italian cuisine with Californian flavours. 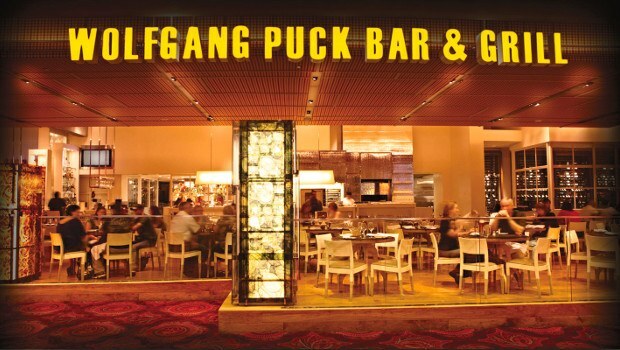 At Wolfgang Puck Bar & Grill, the menu includes pizza, steak, spaghetti and meatballs and fish of the day. The restaurant is open until 6am (apart from Tuesdays), so it’s an ideal place to go if you're craving some comfort food after a long night of gambling – and you’ve still got some money left! If you fancy something other than American-style cuisine, you can try Emeril Lagasse’s New Orleans Fish House. Both the menu and the design of the restaurant are inspired by the sea, with mains including oysters, crab and tuna along with fish soups. 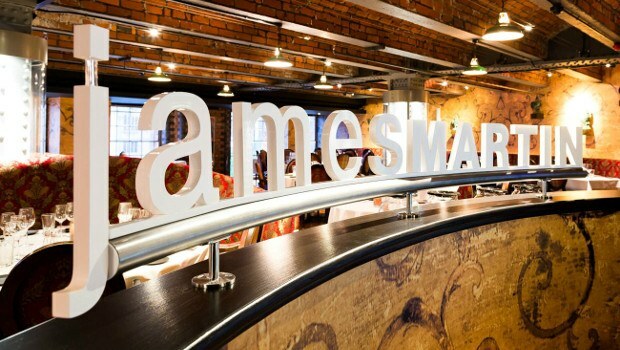 Named in The Sunday Times Top 100 Restaurants in 2015, James Martin Manchester is located within the city's well-known Manchester235 Casino. The restaurant offers both innovative and classic dishes using seasonal and local produce, from fish and steak to Sunday roasts. The TV chef, who is most famous for presenting BBC’s Saturday Kitchen, opened the 170-seater restaurant in 2013 and is constantly creating new seasonal à la carte menus. Diners can enjoy new culinary experiences throughout the year, with plenty of vegetarian options. Manchester is becoming increasingly renowned for its food scene, though this is somewhat of a hidden gem. Although it's found within the casino building, it's set away from the main gaming floor on its own mezzanine so you can go there as part of a casino visit or purely for the excellent food alone. Bear in mind, though, that you must be 18 or older. 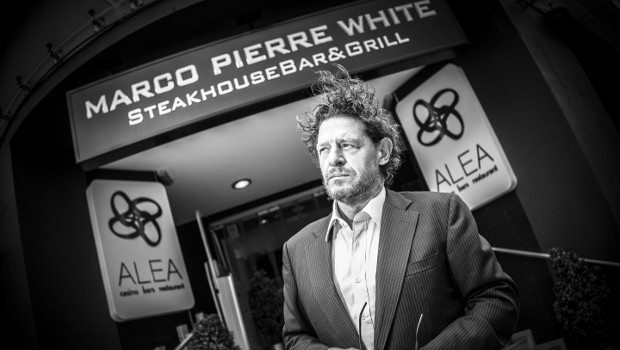 Another famous chef offering hearty and delicious food at a top casino is Marco Pierre White. Located at the Alea Nottingham casino in the heart of the city, Marco Pierre White Steakhouse Bar & Grill features British classics such as Sunday roast, shepherd’s pie and fish and chips, as well as international dishes. The restaurant promotes itself as “affordable fine dining” and with a burger costing £15.95 and steak starting at £20.50, it's certainly reasonably priced considering that Marco Pierre White was the youngest chef ever to be awarded three Michelin stars. There's a range of menu options available from lunch to afternoon tea, so whatever time of day you visit, you’re sure to find something that takes your fancy. And unlike most casino restaurants, under 18s are allowed, making it family friendly. If you’ve struck gold with your favourite slot, what better way to spend your winnings than on a first-class, slap-up meal at one of these restaurants from some of the world’s top chefs?